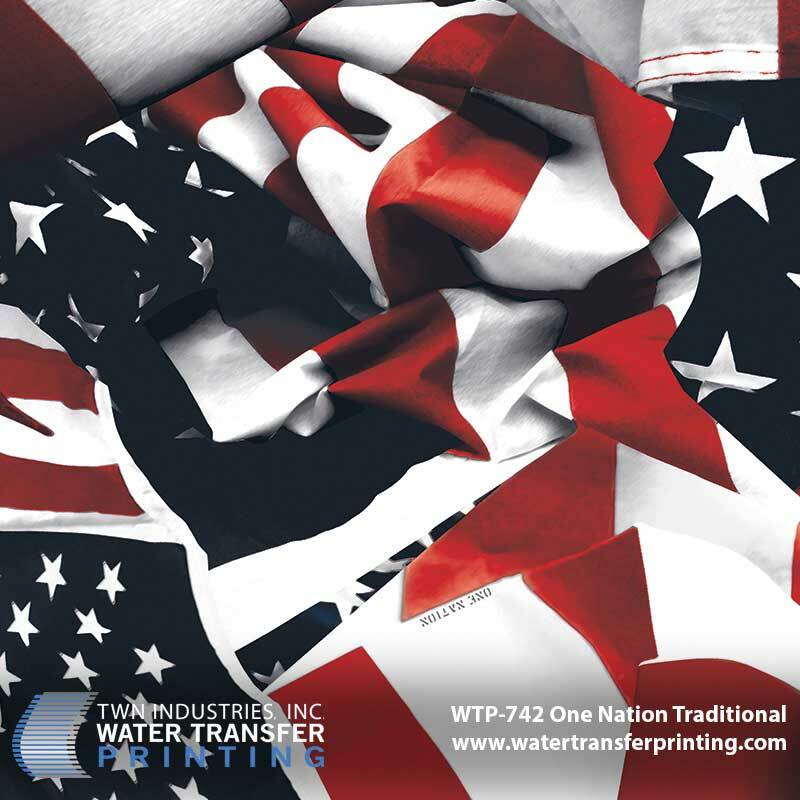 PRINCETON, FL August 29, 2013 – TWN Industries Inc., the leading water transfer printing supplier, announces the release of its “One Nation” film pattern. Old Glory was the inspiration behind their latest design. The company’s patriotism and passion for America is undoubtedly evident by the look and quality of the pattern. With its majestic stars and stripes, this new design is sure to instill pride among many. “As an Air Force Veteran, I have an extremely personal and intrinsic connection to our country’s flag. When I decided to design a new pattern, I wanted to create something that would not only commemorate our nation’s veterans but would inspire patriotism in all of us,” stated Jerry Metallo of TWN Industries. TWN took additional steps to make the One Nation pattern even more attractive to its customers. Three versions of the pattern were created, each one inciting very personal and zealous emotions. “One Nation Traditional” stays true to its name. With its bold and bright red, white and blue, it stands as a true symbol of this nation’s core values. “One Nation Midnight” is reminiscent of a classic black and white photograph. The contrast between the light and dark shadows adds a new dimension to our nation’s flag. “One Nation Vintage” is especially striking because the markings on the flag symbolize the struggles and perseverance of the American people. 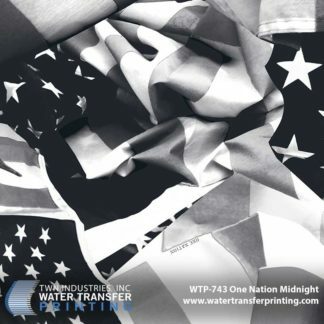 The One Nation water transfer printing film patterns are available exclusively through TWN Industries, Inc. Three-meter accessory packs and production quantity film is available immediately. The part numbers are as follows: One Nation Traditional: WTP-742, One Nation Midnight: WTP-743 and One Nation Vintage: WTP-741. To find a TWN Certified Decorator who can decorate products for you, or to purchase film, call 305-258-9622.